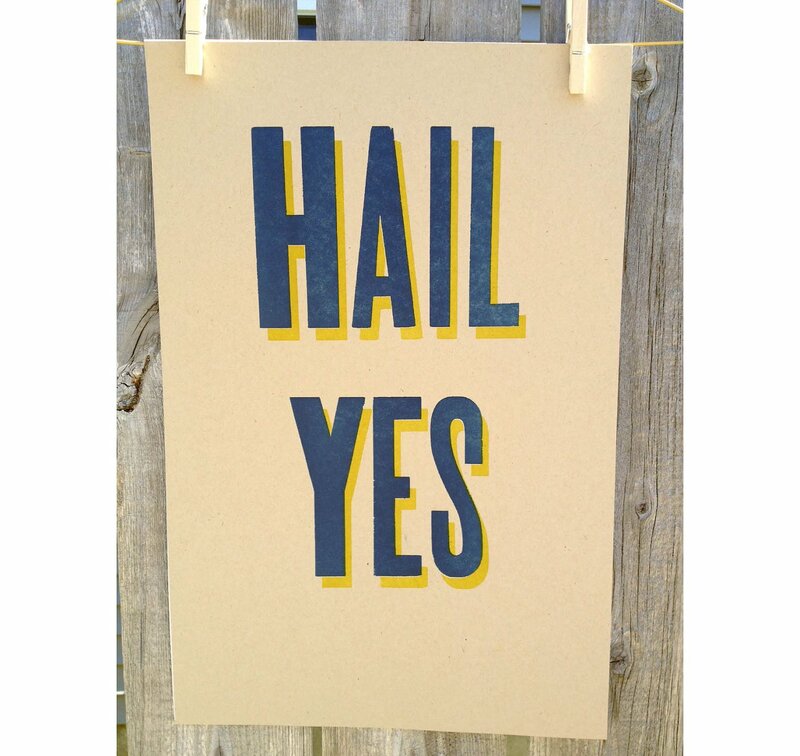 This is a letterpress poster for awesome Wolverines. GO BLUE! 19" tall x 12.5"wide. (not framed)Printed on heavyweight card stock. It will look great on your wall, door, or on TV when you hold it up for the camera at the game! Real letterpress-printed posters. Printed on an antique press with hand-mixed ink.Two colors. A little bit of an indentation in the warm-toned paper. Perfect for your favorite wolverine, University of Michigan fan or alumni.